Dylann Roof suffered from two delusions. The first was that the actions of others, that specific groups of others were responsible for his own distress and failures, his limitations, his hopeless future. From the little we know of him, I think we can assume his target might have been a different group of others, perhaps Jews, in another place and time and context. The second delusion was that he, an undereducated, unemployed 21 year-old boy, could and should engage in a single act of violence that would, he believed, change the course of history. How should we think of this, beyond such words as racism, terror, evil, horror, derangement, and tragedy? If we want to prevent this happening again we do need to try to understand it. We do need to understand if this was a singular inexplicable event, ultimately unpredictable and not preventable, or the failure of the mental health system, the correctional system, the educational system, the policing system, or one vulnerable kid acting on both the subliminal and overt attitudes of many others. The human brain, especially the 21 year-old human brain, craves explanation, organization, ways of understanding its perception and experience. It especially demands ways of understanding failure, distress, fear and limitations. And up to a point it is natural in the adolescent phase of development to blame others: teachers, parents, rules, cops, peers, the referee, bad luck. In different times and different contexts this young brain is easily directed by propaganda to blaming Jews, Infidels, Apostates, Indians, Chinese, The Government, Hispanics, Blacks. One of the jobs of parents and teachers is to adjust these assumptions and conclusions, sometimes gently, sometimes decisively. By 21 we hope our children have learned to assume some personal responsibility, that their brains are figuring out and accepting the nuances and subtleties of cause and effect, of external and internal control, of responsibility. We hope that they are developing some empathy for others, even others quite different from themselves. We also hope that their assessments of themselves within this world are beginning to be grounded in reality. That first delusion. We can arrive at that first delusion, the belief that a group of relatively disenfranchised others (not crooked politicians, recessions and depressions, wall-street barons, lack of educational opportunities) are ruining our lives, through two routes. The first may be actual, definable, treatable, mental illness: The inability to engage with others, to share information, to process all the complex nuances of interpersonal life, an inability to understand messages of avoidance, of intimacy, of competition, of friend or foe, and because of this, an inability to gain a realistic appreciation of how I fit in, of who is responsible for what. A delusion satisfies the craving for explanation. But when a delusion is the product of illness it is usually very autistic, a conclusion that one’s life is being controlled by a microchip or radio waves, for example. Though it is quite possible for an ill person to further conclude that certain person(s), or a non-human for that matter, are behind this nefarious plot. The delusion derived from illness, from schizophrenia or depression or mania, does not need corroboration. It does not need anyone agreeing with it. It does not need sanction. And thus it is usually seen by everyone else as crazy, improbable, if not impossible. It is usually suffered privately. It is usually only harmful to self and family. And, of course, it is treatable. So for Dylann Roof this was, in a non-clinical sense, a delusion. The externalization of control and blame. A belief shared by too many others. But it was not the autistic delusion that emanates from a treatable psychotic illness. The second delusion is more problematic. Dylann came to believe that he could and should engage in a single violent act that would change the course of history. Without this second delusion he might have spent his life sober, drunk, employed or unemployed, living with someone, or living alone in a cabin in the woods, occasionally, especially when drunk, upsetting people with a racist rant. But he came to the manic, grandiose conclusion that he, an uneducated unemployed boy with an average I.Q. and no notable skills or talents, no formal allegiances, should do this thing. But he didn’t behave in a manic fashion, simply grandiose and narcissistic, and without empathy. Perhaps he was simply sufficiently narcissistic, sufficiently naïve, sufficiently sociopathic, to believe he could do this thing, cause a revolt, change the course of history, and be hailed as a hero. He could read the symbol on the flagpole of the South Carolina Statehouse. He could fill himself with hate propaganda on the Internet, all of which would overtly or covertly demand action. And he could absorb the subliminal messages all around him, even in the street names of Charlestown. The tool to do this thing was easily available. He did not need a complex plan to acquire and conceal a gun. He bought it and carried it. So, how do we prevent another of these events? A better mental health system would be fine, but might not have helped Dylann. This was probably not, strictly speaking, the product of a treatable mental illness. A more functional and stable family? Yes. But we have no way of making this happen. A better educational system? Yes. Definitely. And one that offers alternative programs for those inclined to drop out. Good, dignified employment. Yes. Let’s work on that through social policy at all levels of government. Gun control? Yes. Definitely. It is social and legislative insanity to let a 21 year old buy any guns, let alone handguns. Pure and simple. It should not happen. And while murder can be committed by other means, those other means are not as deadly, not as easy, and not as amenable to a momentary impulse. And then we have communal attitudes, overt attitudes, subliminal attitudes, and symbols of hatred, fear and racism. They have a lot of work to do down there. Leaders need to watch the language they use (e.g. “Take back our country”) lest it be mistaken for a call to arms by the less stable among us. And the symbols. The State could quickly remove those symbols of defiance and racism and confine them to the museum. And the State could take a leaf from Germany and ensure the present generation understands and appreciates the truth of their country’s past. Well, so far, though it looks like Dylann Roof’s name will be long remembered, his actions may have brought about something quite opposite to what he imagined. Those disparate thoughts and memories floated through my mind (Part I) after watching a disturbing documentary about ISIS/ISIL/IS and especially the sequence of young boys, coached by older boys, waving their rifles at the camera and shouting their slogans of death. And then another disparate memory arrived. In my youth I was a fan of science fiction, but I have always been puzzled by this: When science fiction writers need to describe and explain or create a system of governance for a far off planet in another galaxy (or on earth) in the distant future, either as background for the warp speed adventure or as an integral part of the story, they create kingdoms, oligarchies, dictators with near magical powers, serfdoms, master/slave relationships, warring tribes, and people who have achieved technological wonders and then returned to till the land in small communes, where everybody dresses in white, speaks Olde English, and worships at sunrise. I get it. Liberal, inclusive democracies are boring. Peter MacKay has stepped down. He is leaving the caucus, retiring from politics. We will work hard to find some palace intrigue behind this move, but, if there is any, it will be vague, arcane, unsubstantiated, and unexciting. I am glad I live in this country. But there is something here to consider. An advanced form of governance, a liberal democracy with an independent judiciary is the product of social evolution. It is not the product of biological evolution, though it is our ability to use language, to empathize, to engage in abstract thought that has made it possible. But it is not biologically natural. If it were, then our teenagers would be watching the parliamentary debates rather than Game of Thrones. And as soon as they were allowed they would be voting in all elections. So, let’s face it, our inclusive liberal democracy, precious as it may be, continuing to evolve and, we hope, improve, is an overlay – an overlay on top of some pretty primitive impulses, some ancient DNA. And what do these thoughts mean, if anything? I think this: If we happen to survive global warming, if those primitive impulses don’t trigger a nuclear war, and if the sun waits a billion years or so before exploding, we need to acknowledge this commonality, this biological reality. We are not made in God’s likeness; we are not born without a program; we are not inherently good; we are, to quote Star Trek, “ugly bags of mostly water”; and the DNA that served us well as Homo Habilis and Homo Erectus, remains within us sleeping under a thin layer of civilized instruction. If you don’t believe this, just think of the astonishing stupidity of shouting FHRITP on camera. So apart from all the other things we need to do to make this planet a better place, we need to accept the reality of being partially evolved biological entities with limited life spans, discard all old and new age religions that bestow some form of divinity upon us, and educate, educate, educate. And the next time I interview an 18 year-old, I would like to find that he or she has at least a rudimentary understanding of the evolutionary history, the importance, and the fragility of our democracies and our inclusive social contract. In the 1960’s we sat on the beach around a fire looking across the inlet to a few lights on the north shore, the moon rising in the east. The guitarists among us played freedom songs, folk songs, union songs, anti-war songs, love songs. We passed a joint or two around, drank cheap beer and wine, and sang. We were confident, I think, that eventually the Americans would see the folly of the Vietnam War, there would not be a World War III, the iron curtain would collapse, and Russia would eventually find its way to the virtue of a mixed economy and full democracy. Universal health care was on its way. The women among us used birth control, looked forward to careers of their own. We may have imagined having children at the time, though certainly not grandchildren. But had we imagined having grandchildren I think we would have imagined bequeathing them a world made up of mostly civilized countries gathering at the UN to discuss their mixed economies and their inclusive democracies. We could have guessed, I think, that they would also be discussing excess use of petroleum (or running out of it as some thought would surely come to pass), preserving the forests and wildlife, protecting endangered species, providing education for all, and eliminating poverty. Fast forward to 2015 and a few countries, including Canada, do have universal health care. The Iron Curtain is gone. Despite Vlad’s wish to be Czar, Russia is getting there. We are certainly talking about petroleum, wildlife, forests and oceans. We continue to argue about the right mix in ‘mixed economies’. Not such high marks on education and poverty. And then we have ISIS/ISIL and terrorism. Who would have guessed? In Egypt the army is once again in control. A generational slippage, a step backwards, as often happens in the long, tedious, evolutionary road to an inclusive democracy and a better social contract. But ISIS and terrorism. That’s not slippage, a step backwards, a pause, a stall. That is some unleashing of the remnants of very primitive DNA in the young male brain. Some instruction that may have served them well as they rode with Genghis Khan, or fought over a watering hole in the jungle, or reverted to cannibalism when other protein was scarce. Some thousands of years ago. 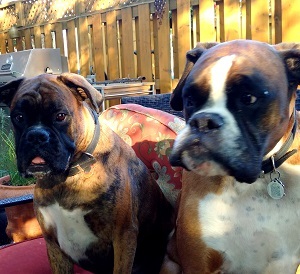 We have two boxer dogs. They can bark at perceived intruders, chase squirrels up trees, make birds take flight, but they are gentle, crave touching and play, and they are overly affectionate with friendly humans. Lovely dogs. But last summer an overweight ground hog, probably the patriarch of a brood in the nearby bushes, wandered onto our dogs’ territory looking for mulberries. The dogs moved quickly. Working as a team they cornered this hapless creature. And then they tore him apart. Well, as a species our dogs are only a few hundred years from a time when this particular behaviour was required of them to eat, protect their families, and survive. So we have forgiven them. Besides, they don’t have language. It is impossible to teach them and explain to them that level of differentiation, consideration and nuance. And they did not invoke God and his ancient texts in the act of killing.